The Knicks are certifiably fun this season, and there's no reason to be cautious about New York fandom. 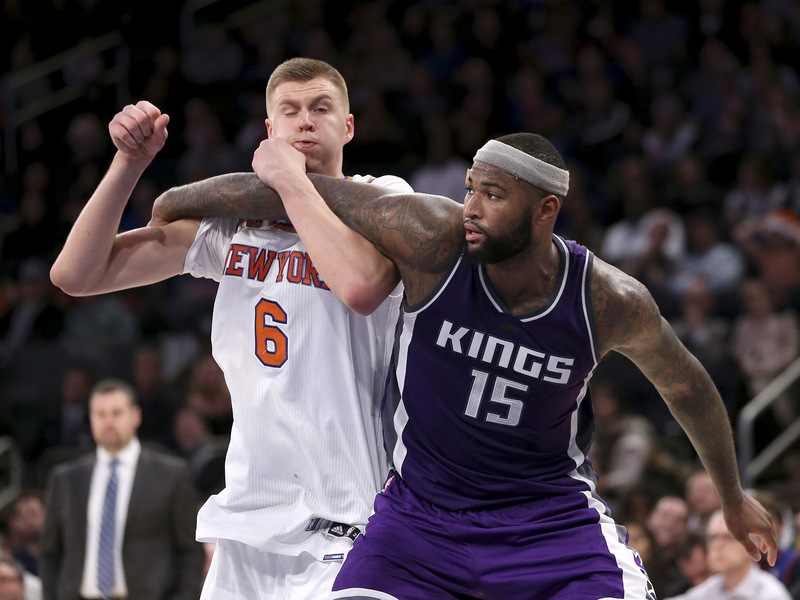 It's time to lean in on Kristaps Porzingis and this ragtag bunch. If you saw a harried, sweaty man running and dodging through traffic on Seventh Avenue in New York City on Sunday night, chances are it was your fourth favorite writer for The Crossover. Apparently StubHub and Madison Square Garden still haven’t quite figured out the whole mobile ticketing thing, which means if you show up to a Knicks game with tickets on your phone, you’ll likely end up across the street from the Garden, printing those tickets in the hot, crowded business center of a hotel, paying 20 cents per minute for Internet access, surrounded by fans who are also cursing under their breath for believing the email that told them it was “easy” to get into the arena using their phone. The hot shame I felt running between the hotel and the Garden while clutching my freshly printed tickets—imagine telling your friend who is attending their first professional basketball game that you need to leave the arena to print the tickets—soon gave way to one of my guiltiest basketball pleasures this season: Watching the New York Knicks. The Knicks are certifiably fun in 2016. They may not be capital 'R' relevant, but they’ve been one of (if not, the) hottest teams in the East for over two weeks, and the hodge-podge roster of something-to-prove veterans and fearless youngsters has resulted in something that’s remarkably compelling. Porzingis is still the main attraction. Explaining to someone that the doe-eyed, baby-faced lanky guy standing at the three-point line is New York’s best player feels silly at first, but then you both watch him match Boogie Cousins snarl for snarl, effortlessly dribble the ball up the court despite his 7’3” frame and command attention from the three-point line to the rim and it’s clear why he’s the best prospect New York has had all millennium. Beyond Porzingis, the Knicks have character(s). Melo is Melo, still sinking the occasional shot while the defense is draped all over him and the shot clock is winding down. Derrick Rose is good for a couple plays a game that make you think, damn, that looked like Derrick Rose! Brandon Jennings has turned himself into an energy guard off the bench, playing like someone with the desperation to revive their career. During the first quarter of Sunday’s game, after I had finally caught my breath and miraculously made it to my seat, I got a text from a friend who is a lifelong Knicks fan: “Dude I’m starting to cautiously like this Knicks team.” Well, I don't think there’s a reason to be cautious anymore. New York may not keep up its current pace, injuries could derail this all and Joakim Noah has not been fun to watch, but after three seasons of largely uninspired basketball, someone who grew up vehemently disliking the Knicks (hint: me) can find appreciation in their current, upstart status. In a muddled East—one in which I’m still not quite sure what to make of most teams—why can’t New York be one of the best five in the conference? Lean in on the Knicks. Enjoy every Melo iso and heat check, every Kristaps block and fastbreak slam. The Knicks have heart, a legitimate reason for hope, and are slowly starting to see the light at the end of the tunnel. This team deserves to be enjoyed. Just remember to print your tickets at home first.